Less than a week into its debut. 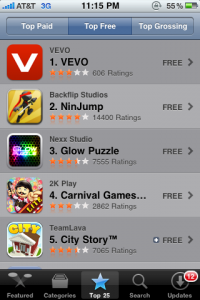 The VEVO App hit #1 Yesterday and is also the iTunes App of the Week. Availlable here.